It has been a while since I have worked on these two apps, but they both just received updates. If you are using GetHuman for WP7, this will be the last update this version of the app receives, from now on the app will only be updated for WP8. Both apps received updates to allow for better social sharing and now you can share via SMS/Text message, Email, NFC, or any social networks you have setup on your phone. Also ads have been removed from both apps entirely. Polygon is still listed as a $0.99 and will allow you to “try” the app indefinitely with no ads. If you want to help support development of the app you can choose to purchase the app for the $0.99 listed in the store. The GetHuman app is still listed as a free app and also had all the ads removed. The amount of revenue from the ads didn’t justify the reduced performance the apps were seeing from trying to fetch ads every time the app was ran. From now on, I will just allow any people who want to help support development of the apps purchase the apps, otherwise they will remain free. - Last version to be updated for WP7. - Removed all ads from the application. 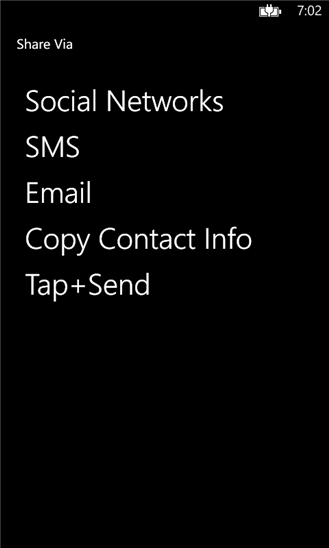 - Initial release for WP7. This entry was posted by John Jones on September 30, 2013 at 9:36 AM, and is filed under Apps. Follow any responses to this post through RSS 2.0. You can leave a response or trackback from your own site.